We are not only an employer. We are also a recognised training provider of apprenticeships. Our team is equipped to provide and procure expert training and development leading to professional skills and recognised qualifications. 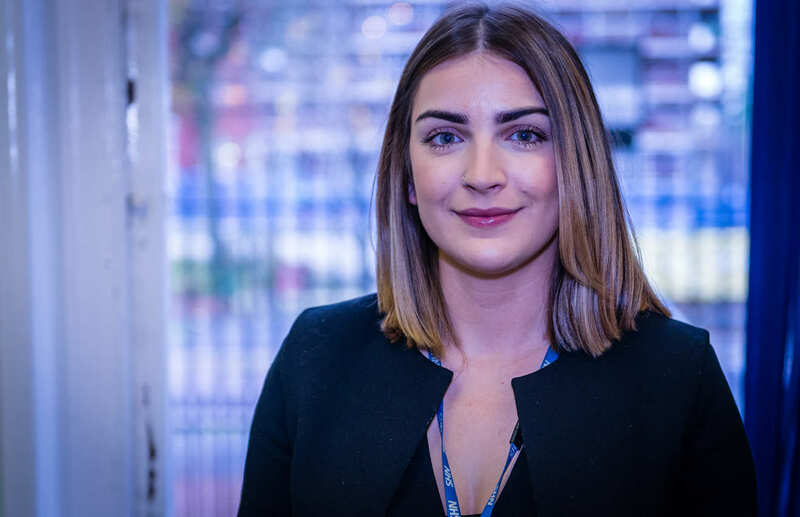 Furthermore, we work in partnership with a range of high quality local learning providers to offer the widest and most responsive range of Apprenticeship opportunities to all of our staff members. MFT is a approved Employer Provider to deliver apprenticeship training programmes on the Register of Apprenticeship Training Providers (RoATP). Our track record speaks for itself: over 90% of apprentices successfully completing programmes went on to secure a permanent role at MFT. We believe that everyone should have the opportunity to develop their skills and expertise. An apprenticeship sets people up to achieve their long-term career aspirations. That’s why we offer apprenticeships to everybody – from school leavers taking their first steps into the health service, through to existing members of staff who want to enhance their prospects. All of our apprentices are highly motivated, reliable, and passionate about the delivery of high quality healthcare. We look for people who are keen to develop a career in a range of clinical or corporate roles within the NHS. All qualifications are undertaken with full support from your line manager and the Apprenticeship teams. Some are workplace based delivery, some require attendance at College or University, but all are completed alongside your role, as part of your weekly working hours. Apprenticeships generally take between 12- 36 months to complete, depending on level. You’ll be supported by an assessor and attend a combination of workshops, 1-to-1s, distance learning and self-led learning sessions. If you’re an existing member of staff, contact the Apprenticeships team to discuss how to express your interest in an Apprenticeship. If you join us as a new-to-the-trust Apprentice, you’ll be paid at least £4.05p/h for the first 12 months of your apprenticeship, rising to National Minimum Wage for age, or National Living wage. Complete your apprenticeship and you’ll be eligible and supported to apply for a substantive post with us at MFT. As a large employer, we want to play a key role in supporting graduates to take their first steps into employment within the NHS. 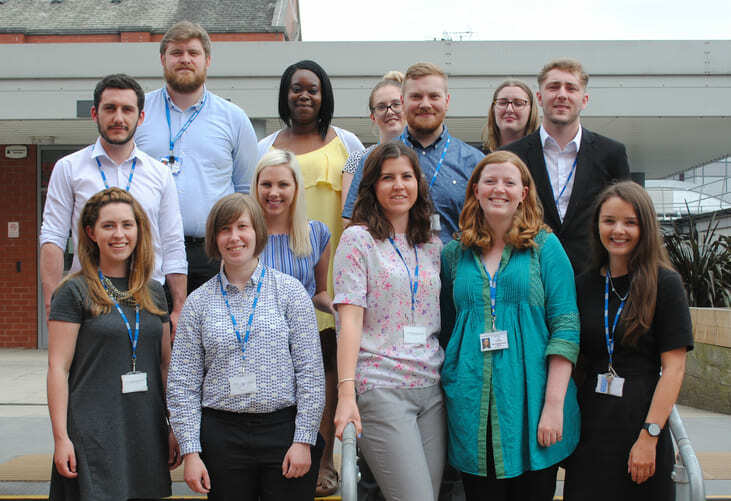 Working closely with the national NHS graduate scheme, we host national graduates every year. We’re also innovating, with our unique General Management Graduate Development Scheme, which leads to a Masters qualification. The scheme is designed to equip focused and forward thinking graduates with the knowledge, skills, experience and qualifications they need to be a future leader. If you’re someone who puts patients first, we’ll prepare you to make a real difference within the caring profession. It really is a one-of-a-kind opportunity. Over 23 months, you’ll develop on-the-job management skills through a range of placements in diverse areas of the Trust. You will benefit from the guidance of a senior Trust mentor, a buddy and a dedicated scheme coordinator. Along the way you’ll enjoy masterclasses and leadership development programmes, shadowing opportunities, and support to study for an MSc in Professional Practice (Health Services Management). It’s all about getting you ready to take full responsibility for the operational management of a team or large project – from budgets and performance targets, to quality of service. Best of all, our commitment to diversity means the scheme is open to any suitable graduate, regardless of when you attained your degree. Our future leaders will be extraordinary.